In this post I’m going to show you step by step how you can install WordPress & how you can begin setting up your blog. Firstly I’ll show you how to install WordPress using Hostgator’s quick install process and then afterwards I’ll show you how you can install WordPress manually in case you’ve decided to host your website elsewhere. Installing WordPress manually isn’t massively difficult, but there’s a lot more steps & a lot more room for error – that’s why if you’re new I always recommend getting your web hosting from Hostgator so that you can take advantage of their quick install service. But if you’re still a little bit stuck even after watching the video then let me walk you through the steps to see if I can help you out. The first thing you’ll need to do is go ahead and login to your Hostgator control panel, which is called cPanel. When you signed up with Hostgator they should have sent you an email with all your details and in this email you should find instructions on how you can login to cPanel. Usually to access cPanel you would address “:2083” (without quotes) onto the end of your URL in your browser. So as an example if you’re domain name “mydomain.com”, to access cPanel you would normally type “mydomain.com:2083” into your browser and that should load the login page for cPanel. Once you manage to get yourself logged into cPanel, you’ll need to scroll down to the “Software” section & choose Quick Install from the list of options. Be mindful that the layout of the control panel does change quite often so it might not look exactly like the image above, but it should look pretty similar at least. After selecting the Quick Install option in the previous step you’ll be taken to a new page where you’ll be asked what software it is you’d like to install. 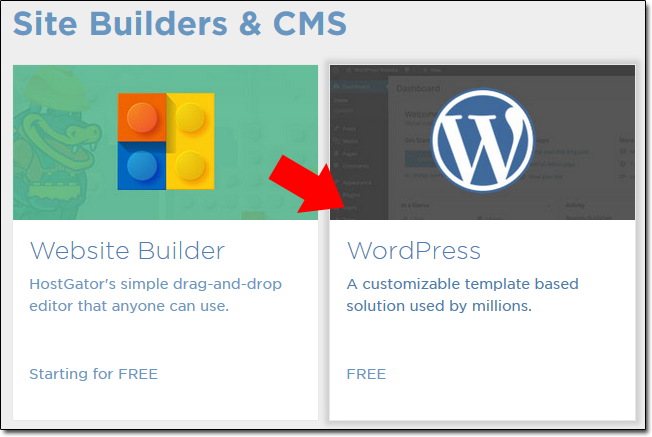 Under “Site Builders & CMS” you simply need to select WordPress, which is the platform that you’ll be using for your blog. CMS stands for “Content Management System” in case you were wondering – which is basically just a fancy way of saying that it’s a platform which lets you easily edit stuff on your website/blog. Before the WordPress installer will go ahead & do it’s magic, you’ll need to configure a few basic details. Take a look at the image below and you’ll see each input is numbered – I’ll explain each field in more detail below. 1. This field will simply contain the domain name of your website. 2. This field is optional, and you should only fill it in if you want to install on your blog in a subdirectory as opposed to having it as your main website. 3. The email address of the administrator account. 5. 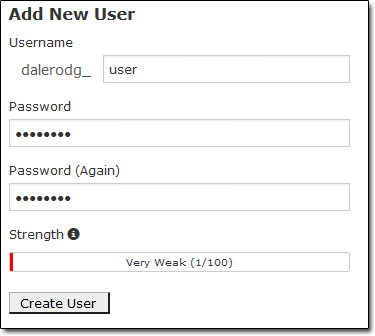 The username of the admin account – now, in the example you’ll notice I have used “admin” as the username but in your installation I would strongly recommend you change it to something else as simply using “admin” poses a high security risk since it’s very easy to guess. 8. The magical button that you can press to install your blog once you’ve entered all of the required details. Installing WordPress with Hostgator is as simple as that, and now you’re good to go & ready to set-up your blog. The details of your installation and how you can login should have been sent out to the email address that you entered as the “Admin Email”, so be sure to look out for those. Usually to login to WordPress you will simply add “/wp-admin” to the end of the URL (without quotes). 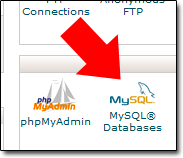 So as an example if your domain is “mydomain.com” and you install the blog at the root (not in a subdirectory) then you should be able to access the Admin login page at “mydomain.com/wp-admin“. Similarly if you installed it in a subdirectory you would just add the name of the subdirectory, like so: “mydomain.com/subdirectory/wp-admin”. 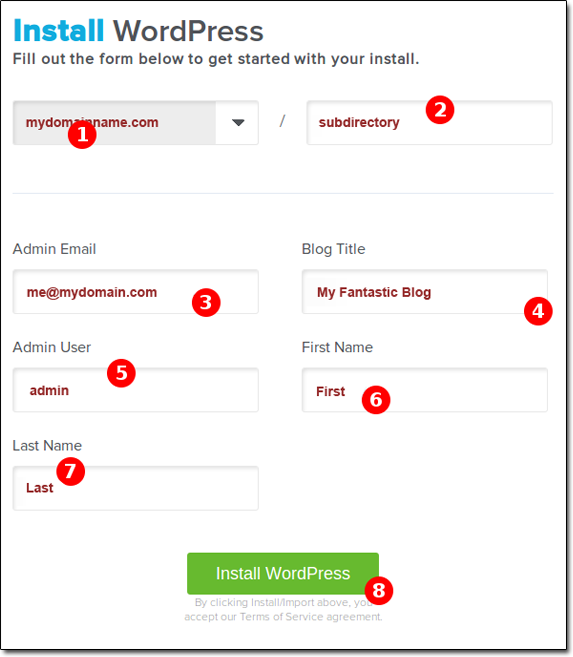 If you signed up with Hostgator then installing WordPress is as easy as that – so now what you’ll need to do is click here to skip the manual installation instructions that I’m going to run through & jump straight to the section where I show you exactly how to start setting up your new blog. 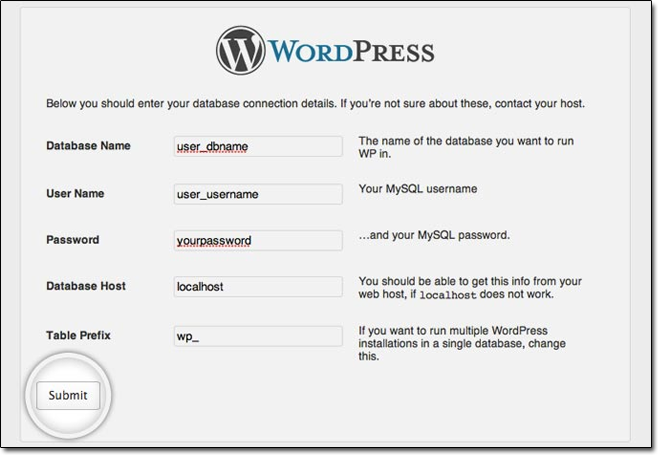 How to install WordPress manually. If you didn’t sign up with Hostgator and you’re wanting to find out how to install WordPress manually then you’re in the right place because I’m going to run through the steps right now which will show you how to do just that. Installing WordPress manually isn’t quite as straight forward as it is by using Hostgator’s quick install option, but don’t worry – it’s not the end of the world & it’s still pretty easy (and fairly quick) to do. Since you’re going to be installing WordPress manually, the first thing you’ll need to do is actually download a copy of WordPress ready to install on your server. Click here to go to the WordPress download page. When you download WordPress, unless you have selected otherwise, it will be in .zip format – so the first thing you’ll need to do is unzip it. How you do this will depend on your PC, but generally you just need to right click the .zip file & click “Extract All“. 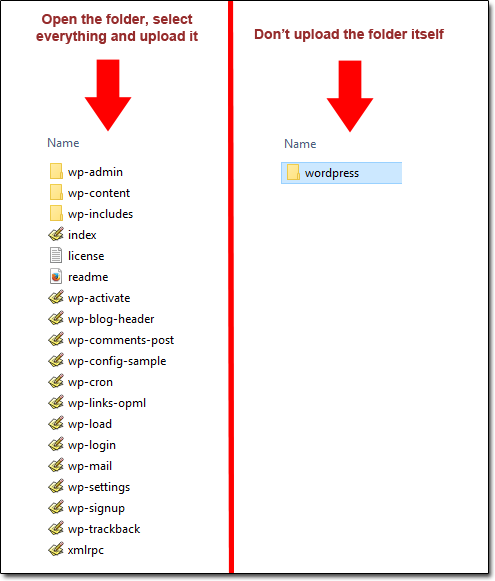 To install WordPress on your server you’ll firstly need to upload the WordPress files from your computer to your server – and you’ll do using what’s known as an “FTP Client”. FileZilla is a great, free FTP client – it’s also the FTP client I’ve personally used for over 6 years and you can download it here. Once you’ve downloaded FileZilla, run the installer and set it up on your PC. FTP stands for File Transfer Protocol – meaning once you’ve connected to your server via FTP you’ll easily be able to drag & drop files to transfer them onto your server. Connecting to your server via FTP is generally super easy, but your connection details can vary depending on your web host. If you’re unable to connect by following the instructions in this guide then reach out to your web host to see what details you’ll need to use. You can leave the port number blank because by default FileZilla uses port 21, which is the most common port for FTP and I would be very surprised if your web host is using something different. If you don’t get that message then contact your web host & ask them what credentials you’ll need to use for your FTP – they should be able to assist you. Once you’ve successfully connected to your server via FTP it’s time to copy the files over from the WordPress folder that you extracted. The super important here is to make sure that you’re in the “public_html” folder on your server as this is the folder that is publicly accessible. If you copy the contents of WordPress to a folder behind this location then it will mean that your blog will be installed in a location that’s not publicly accessible, and I’m sure you’ll agree it’s pretty pointless having a blog if nobody is going to be able to read it. Once you’re inside the “public_html” folder on the remote server you simply need to drag and drop the entire contents of the WordPress folder on your PC into the FileZilla client, and you’ll see the files beginning to transfer to your server. Before doing anything else it’s a good idea to check all the files uploaded OK. To do that, simply visit “yourdomain.com” in your web browser (obviously replacing yourdomain.com with your actual domain name). If you see the WordPress setup wizard then good news – you uploaded everything into the right place. If you don’t see the wizard then chances are you simply uploaded the files into the wrong folder on your server. If everything uploaded OK then when you visit your domain name you’ll see the WordPress setup wizard, but before you can run the wizard there’s one last thing you’ll need to, and that’s create a database. Finally, you’ll need to connect the user you’ve just created to the database that you’ve just created. On the next page you’ll be asked what privileges you’d like to give the user – the easiest thing to do here is to give the user “All Privileges“. You’ll be glad to know that you’re now ready to go ahead & run the WordPress install, so type your domain name into your browser and load up the WordPress setup wizard. 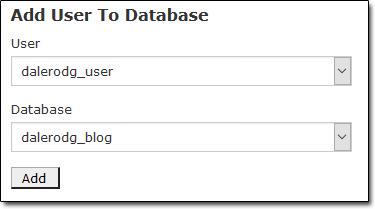 The wizard is pretty self explanatory, you’ll just need to add details of your database (which you’ve just created) and then you’ll be asked to create an admin user for your blog. Normally you’ll leave the Database Host as localhost, but if you can’t get it connect and you’re certain that your database details are otherwise correct then contact your web host to see if they’ve set a different database host address. Once you’ve completed the setup wizard then you should be informed that WordPress is now installed on your server & that you’re good to go. But hopefully now you can see why I suggest Hostgator – just makes life that bit easier… But at least we got there in the end. 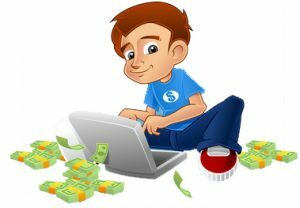 Interested in making money by blogging? If the reason you set your blog up was to make some money, then your in luck because I have just the blog post for you! I’ve put together a full-blown step-by-step guide which happens to be called “How To Start a Blog & Make Money Blogging” – you should definitely check it out. You learn how to start a blog (which you might have already just done), but you’ll also learn what an email list is, how to build one, and how to make money. The guides over 7,000 words long so it’s safe to say it’s jam packed with information.